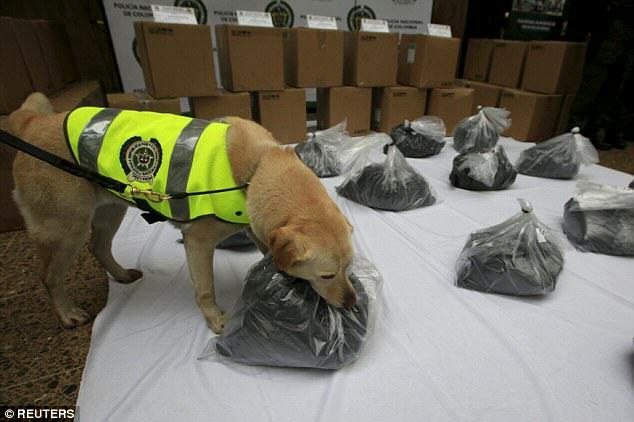 A dog has sniffed out over a ton of cocaine bound for Mexico. 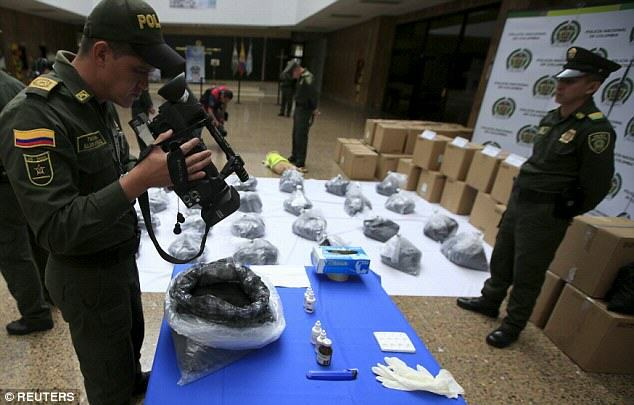 Officers at Bogota’s El Dorado airport in Colombia discovered 48 boxes of cargo shipment heading for Mexico, containing ‘black cocaine’ hidden inside printer cartridges. The sniffer dog, Mona the Labrador sniffed out the narcotics, but as of yet no arrests have been made, and police haven’t said which airline they were on. It comes just a week after a ton of cocaine was found in Mexico, disguised as 40 bags of zinc oxide. 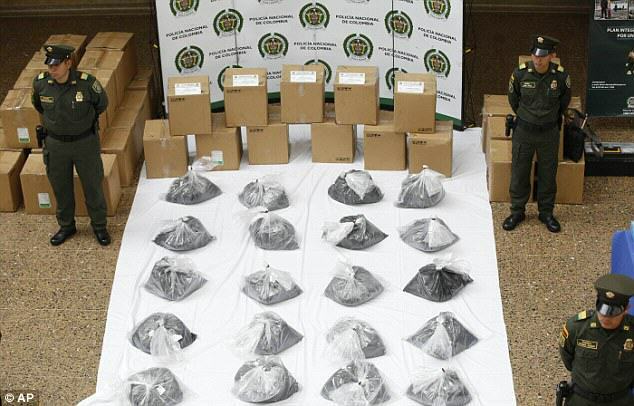 Colombia is the largest supplier of cocaine to the U.S., and a lot of the drugs get there through Mexican drug gangs. There’s very little information being released about the haul due to the condition of anonymity, which isn’t surprising.